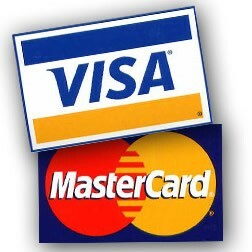 We accept the following forms of on-line payment: PayPal, Visa, MasterCard or Discover. Credit cards are processed through PayPal. Select the Paypal option to process a credit card payment. All payments made online are secure. In addition to our online shopping cart we offer a classic method of ordering from us. You are welcome to mail in your order and payment. Make Check, Certified Check or Money Order payable to: "Casita Azul". Kindly note that payment by Personal Check will delay the shipping of your order for about 3 weeks. Money Orders or Certififed Checks will not cause a delay. All orders ship FREE. We have a flat rate handling fee of just $3.99, any size order. We ship to the United States only. We do not ship internationally. Many orders are shipped via the U.S. Postal Service. We use their 'PRIORITY SERVICE' which expedites packages in 2-3 days. We have had super success with this shipping method. In 2011 we added UPS as a shipping partner. We were very pleased with their on time delivery and safe handling of our mail-order plants. We now offer both shipping services, we will select the best method for your order based upon where you are located and what items are in your order. PLANTS: We ship live plants late March through October. Orders placed in winter will be shipped at a time that is appropriate to your area. Orders placed during the growing season are usually shipped within 2-3 business days. You are always welcome to select a custom ship date. SUPPLIES: We ship supplies daily, year round.